OUTRAGEOUS! This is bigger than Watergate ever was. The DNC and the Obama regime weaponized the FBI and our intelligence agencies to take out a Republican Presidential candidate and then President solely on evidence that they had fabricated! TGP: The Washington Post published a bombshell on the discredited Trump dossier on Tuesday. The Comey FBI used the largely debunked Trump dossier, which alleged Russian ties to the President’s campaign associates, to convince a judge to grant them a FISA warrant, allowing them to secretly monitor Trump campaign official Carter Page. The Hill reported this in April. 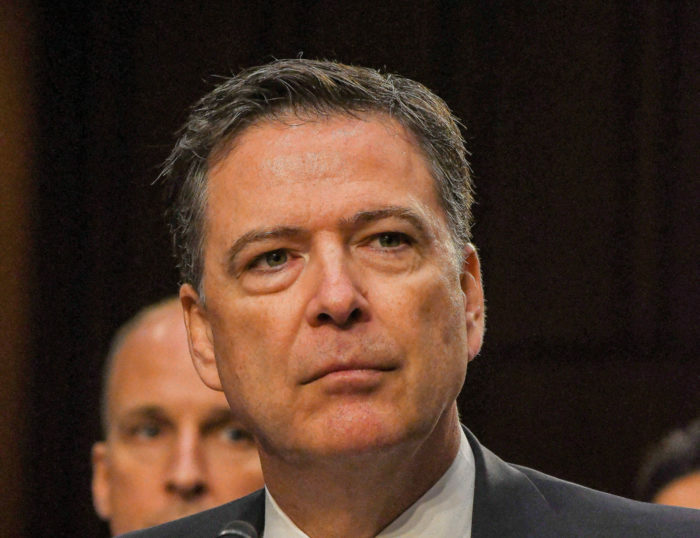 FBI Director James Comey has cited the dossier in some of his briefings with lawmakers in recent weeks as one of the information sources used by his bureau to bolster its probe, U.S. officials briefed on the investigation told CNN… The secret court that oversees the Foreign Intelligence Surveillance Act (FISA) granted the FBI a warrant to monitor the communications of Page, a former national security adviser on Trump’s campaign. The court that deals with any topic related to FISA awarded the FBI a warrant to monitor communications involving Page back in 2016, Page was a former national security advisor on the President’s campaign. And now we know the dossier was funded by the Clinton campaign and DNC. Yale Medical School Admit Shamed By Facebook Friend For Her "White Privilege"